‘Work life balance’ is something that is different for all of us and our understanding of it and what we want this to mean and how we understand it may change as we age and have more life experience. Essentially the key foundation of achieving true work life balance is to know yourself as a person, and to know that there are many facets to you as a person and they are all equal and deserving of and needing care in all areas. If one of these areas is ‘out’ so to speak then it has a knock on effect on all of the other areas of our lives as well. Its key in this to know that work is not separate to life and not something to try and to be minimised, but rather to understand that it is simply a part of life, just like everything else. It’s important in life that we take care of all areas of our life, starting with taking care of our physical and emotional health and well-being. When it comes to work-life balance we need to know where to focus and when. The approaches we take and choices we take will be different for all of us at different times as our circumstances are all different. Often we seek ‘work life balance’ when we feel work has taken too much of our focus and time in our lives and our health and well-being has been affected, leaving us feeling tired, unwell, rundown and unfulfilled in other areas. In reaction to that excess of being dominant work focussed, we can then sometimes focus on doing things like entertainment to distract us from work and in that some of our activities may actually be harmful for the body like drinking alcohol, eating excessively and/or unhealthily, sleeping late or too little, or perhaps having risky hobbies. But if we do not live well in time when we are not ‘at work’ then this can create tiredness and fatigue and at times more ill health that then carries on to how we feel when we are at work. This approach also leads to an unhealthy impact on the body, no different to the unhealthy impact of being too consumed by work!! Many of us seek to work less when we are feeling tired and run down, and how we are at work may be part of this, however how we are in non-work time equally affects us. We are made tired by both how we are at work and what is going on at work as well as how we are in our ‘personal’ time. We have the ability to be well in our daily lives, and it is our daily choices that contribute to either our sense of well-being or our sense of dis-ease. How we are in life, both at work and non-work can contribute to this. Thus both work and the rest of life are equal in their impact on our health and well-being. We can and do get tired and run down when we do not take equal attention to all areas of our lives. Understanding why we seek ‘work life balance’ helps us focus on how to achieve what we are looking for. Why do we seek ‘work life balance’? Is it to have the picture perfect life? To fit into some image of what a professional should look like or what their life should look like? Or is it so that we can feel truly healthy and well? If we are seeking that feeling of being healthy and well then it gives us a different foundation on which to guide our choices when it comes to living life and thus a different perspective on what it means to have a healthy work life balance. The beginning of true well-being in life is to know that all areas of life are important and it is our health and well-being that is paramount and priceless, not achieving a certain lifestyle. Making choices that improve our health and well-being comes with experience and it comes from listening to our bodies. Some of these choices are done in non-work time, and others equally occur during work time. The key is making time for what is needed in YOUR life to support your health and well-being, in all areas. Once you start to connect with what you need for your health and well-being the steps to a healthy work and life rhythm for you will start to flow. Our lives are all different and what is a healthy work life rhythm for one, may not be for another. The key is to develop our own living way through discerning what is needed to best support our health and well-being at the time. This starts by listening to your body. Your body will tell you what makes it tired, rundown, well, joyful, sad, anxious, or feel tense. By learning to listen to your body you will learn to make choices about both work and the rest of life that support the well-being of your body and thus your life. No picture of how life should be ever led to a truly healthy and well life, but listening to our bodies gives us personalised instructions on how to care for ourselves. Thus it is not simply about achieving a desired ‘work-life picture’ but rather a way of living in all areas of life that takes care of all parts of life that is uniquely personalised for all of us to best support our health and well-being. It is about us developing a very personal relationship with all aspects of our lives. Get to know who you are as a person. You are in charge of your life and your choices. Don’t make work separate from the rest of life, see it is as part of life, neither more or less important than anything else. Listen to your body, it will tell you what is needed. Make time to eat healthy, all of the time. Make time for loving personal relationships, not just work relationships – and BE loving. Be open to people everywhere, even in the work environment. Make time for regular sleep, go to bed as early as you can when you are tired. And deeply care for yourself. Keep learning from the way that you are feeling. Review your life constantly, see what is working, what is not working. Bring in more of that which is working, and eliminate that which isn’t working and you will personalise a way of living that truly supports your health and well-being. 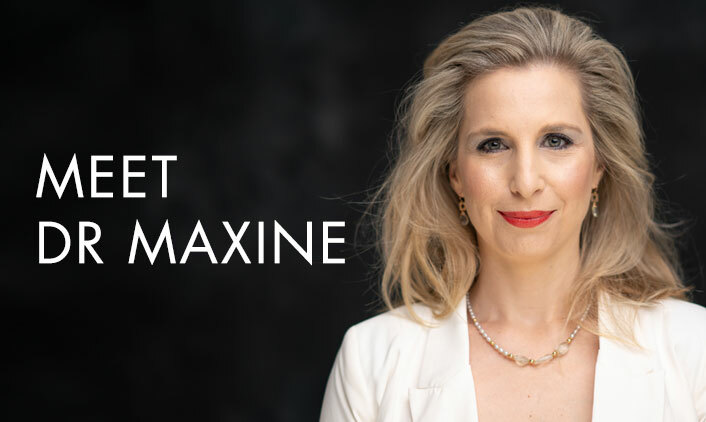 Love this blog Maxine it is such practical advice for simply living a life of vitality which is what so many of us want but are accustomed to life being complicated. There is a great point to consider here: That giving the quality I approach work in the same quality I approach the rest of my time with, balances the way I feel about work, taking the emphasise off feeling any drudgery. Reading your words Maxine it is easy to see why one trick gestures, holidays, rostered days off and the like do not work. For if there is an inbalance at play it is simply that we carry on in this driven way whether we are at work, rest of play. It is a little absurd when you consider we take ‘time out’ to push and drive ourselves in exactly the same way we do at work. So you show us here that it is the philosphy and relationship with life we are best placed to look at, not the schedule or order of the things we work on. What a super supportive blog for anyone who is struggling with work life balance. What stood out for me is that making time for what we need is what best supports our health and well-being which is key, for we all know what it is we need, but it is so easy to get distracted by; Time – I don’t have enough time to cook for myself, or I don’t have enough time to exercise, I don’t have enough time to….. sometimes it can be as simple as going to bed one or 2 hours earlier so that the body gets the rest it needs for all it is going to do the next day. ‘The beginning of true well-being in life is to know that all areas of life are important and it is our health and well-being that is paramount and priceless, not achieving a certain lifestyle.’ – I love what is said here, so often the focus is on achieving a certain life style to be happy and balanced but when the so called ideal is achieved it doesn’t provide the joyful contentment that is desired. There is no perfect house, partner, job, boat, child, pet, car, holiday that can fill an internal void created by lack of self care/self love. All these things can alleviate feeling the symptoms of the void for a period of time until the void is felt once more then the quest for the next fix continues. Giving our health and wellbeing the focus it deserves which involves working on the quality of our relationship with ourselves and others, our physical and our emotional wellbeing creates balance = thus no external balancing required. Just stumbled across your blog Dr. Maxine and really love this post as I have been told I need to work less, get better work life balance etc. What really stood out for me is #2 on the list and also that my choices in my personal life affect not only how I am in my personal life but my work life as well.